first off, here’s the whole photoset in one shot. 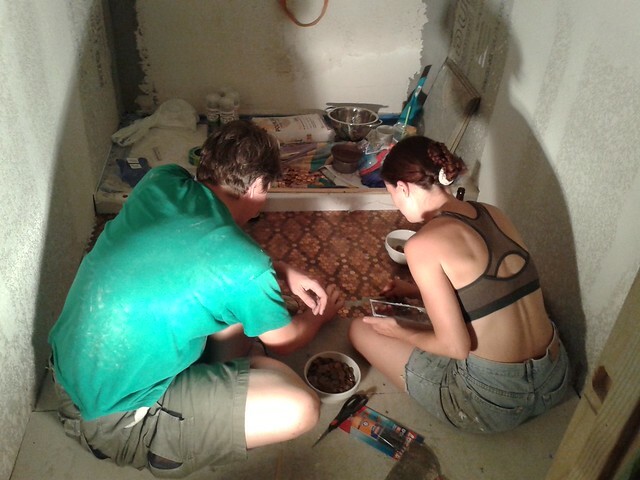 So, Jenny and I had been talking about making a penny-tile floor. 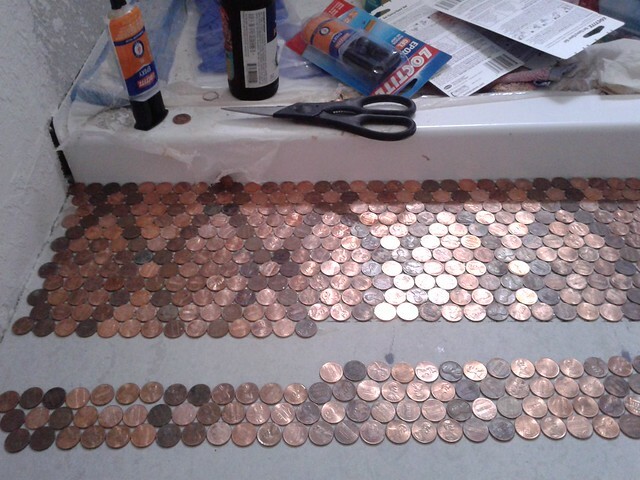 For those of you who maybe don’t hang out on Pinterest, that means using pennies to tile a floor. 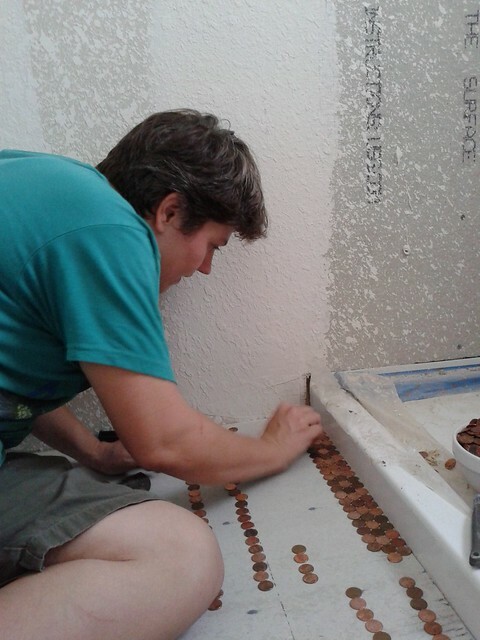 it’s cheaper than regular tile (running about $1.44/square foot, vs upwards of $3 for most tile), but of course, since each penny is a tile, it’s more work. but the results are simply stunning. here’s the finished product. and here’s the process in order. 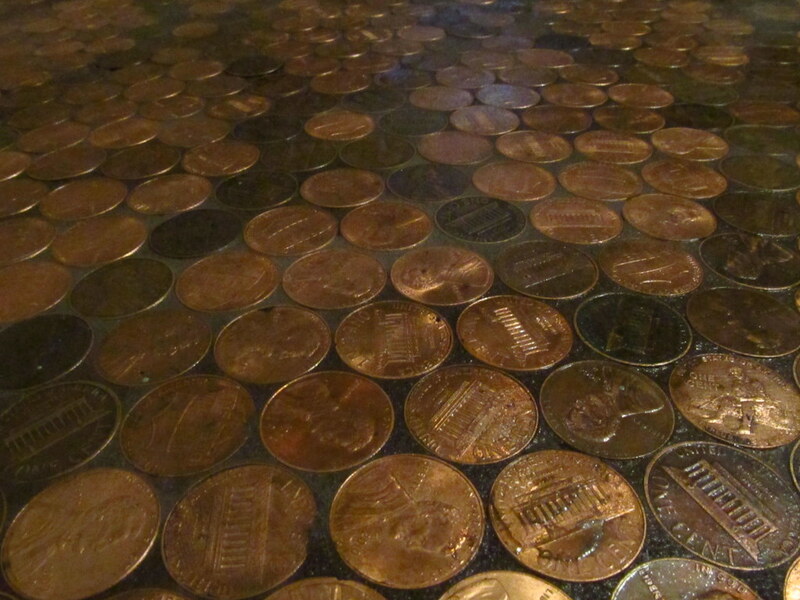 sort pennies: shiny, not-shiny. this step can be skipped if you are not making a pattern, but why make life easier? 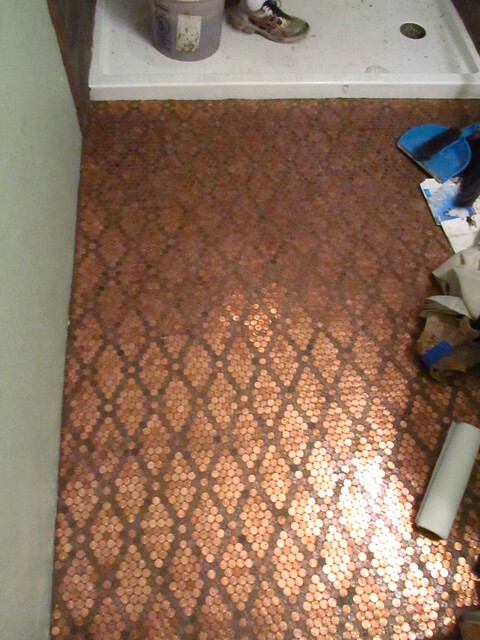 the pattern totally makes that floor. 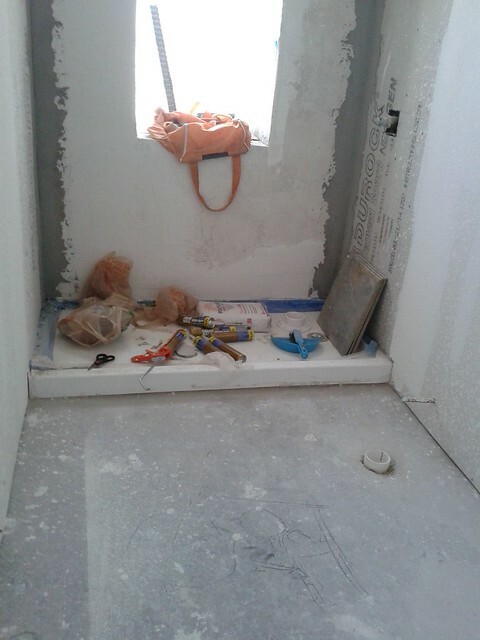 here’s the starting condition of the floor: cement slab, with shower installed. 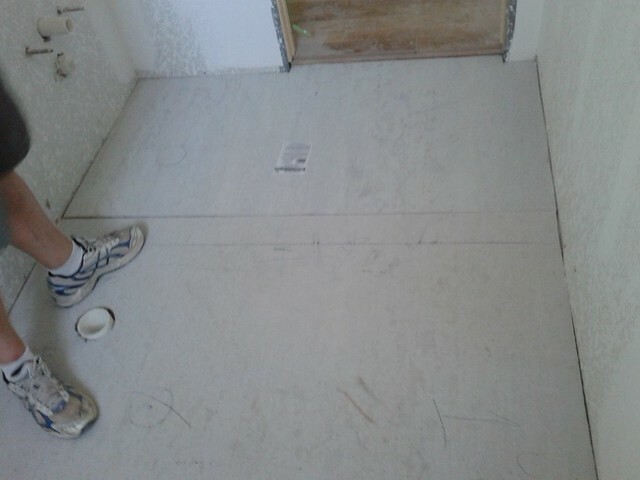 and began to make the pattern. you can see the florets between the diamonds coming together in the top rows here. after a bit, we settled on one person making the pattern, and the other person glueing pennies down. we used epoxy to glue them. by the end of the first night, it felt rather like it was coming together. 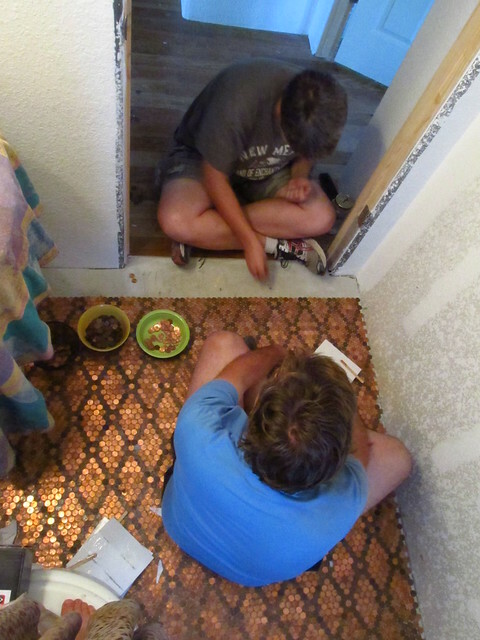 then we experienced several setbacks, including shining a batch of pennies ourselves, laying another foot or so of floor, and then having it tarnish over the next two days. 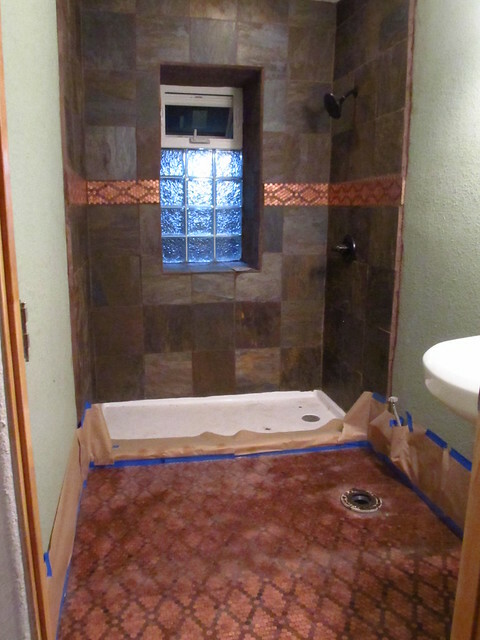 that whole section had to be pulled up and redone. 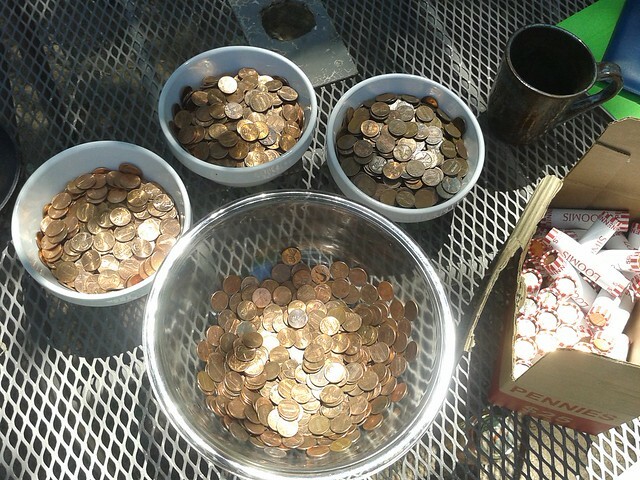 we ceased attempting to shine pennies, and instead took them back to the bank and traded them in for new batches, which we then sorted. eventually, however, we totally did it. 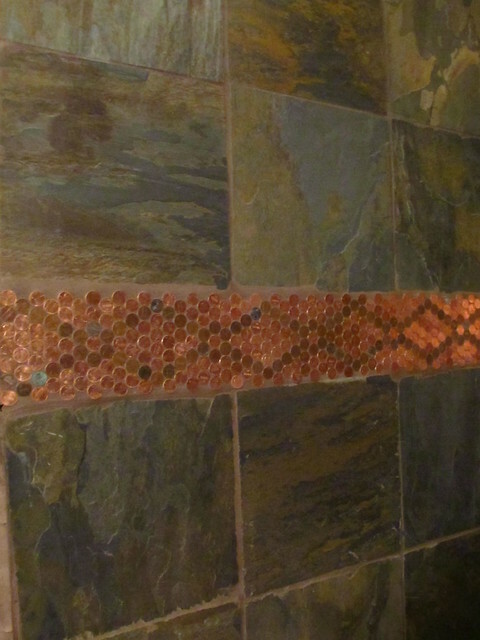 meanwhile, Jenny made a row of penny-tiles on backerboard, and when they installed the shower-surround, added that row to create an accent stripe. 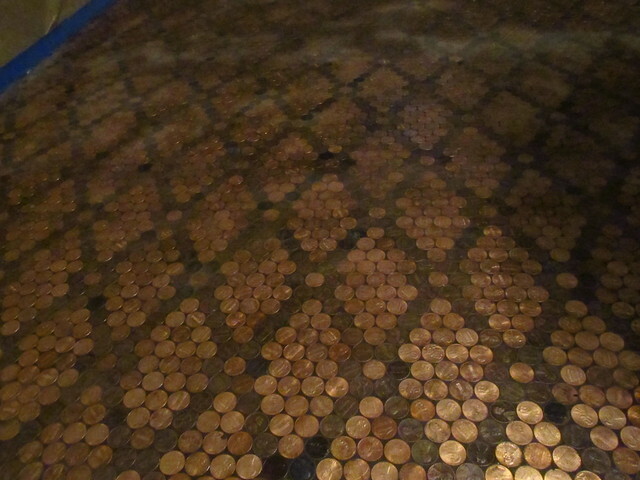 the pennies, both on the wall and in the floor, are grouted just like regular tile, then cleaned. 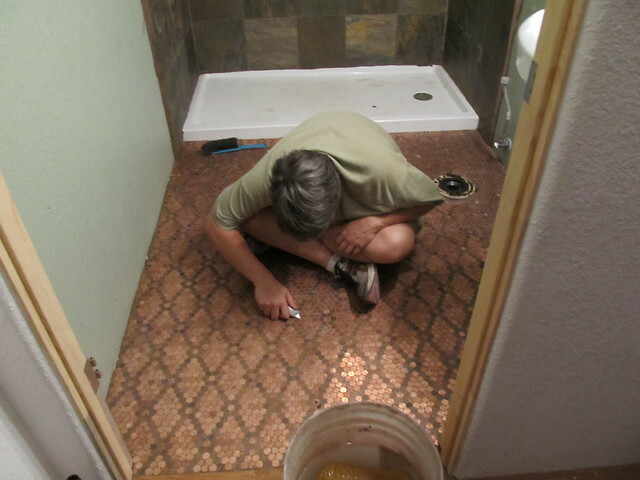 and then we sealed the floor. the spray-on sealant was cloudy till it set, then cleared. we’re all very pleased with the final product. 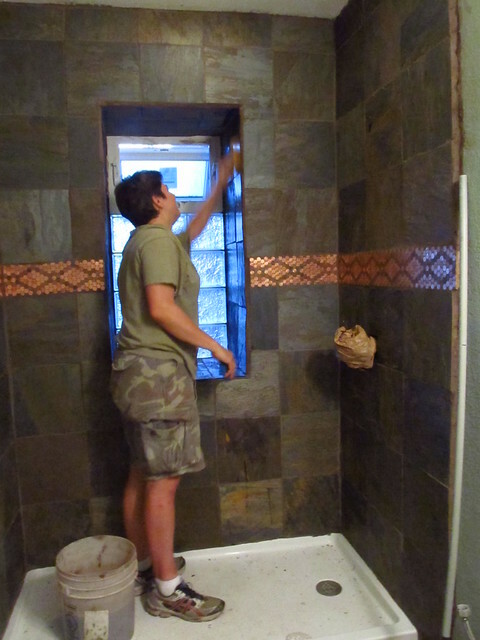 our contractor, Bryan, called it “an award-winning bathroom.” it’s already so very worth it.